“I have certainly seen a lot of life aspects in being here in Palestine. I have seen how the daily life and the cultural aspects of Palestinians are continuing despite that challenges they face. Although, I am from France, but in my heart, I am Palestinian," spoken in Arabic by Solene Maileys Cordet, one of the students at the Palestinian Arabic Studies Program (PAS) during a social gathering with Birzeit University President Dr. Abdullatif Abuhijleh. 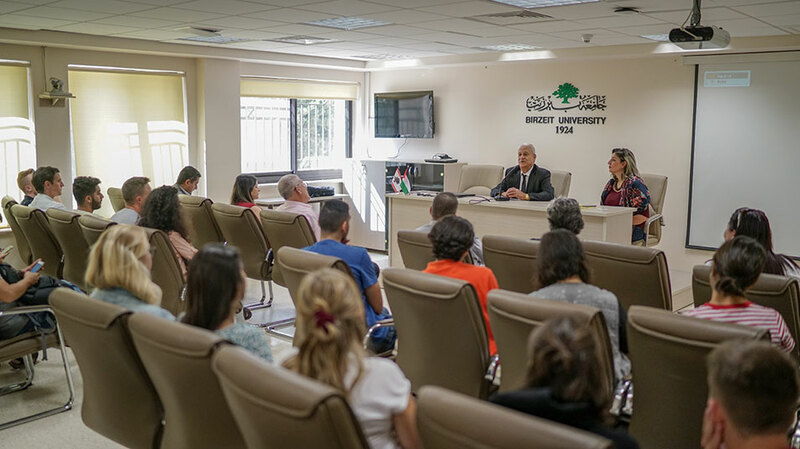 On October 8, 2018, and in an open talk with the university president, the students reflected on their experience in Palestine in general, and Birzeit University in Particular, and shared the impact of the field trips around Palestine on them. This year, the PAS program welcomed 40 new enrollees of internationals and diaspora Palestinians from various countries from around the world. Three of these students are awarded the President’s Palestinian Diaspora Grant for this semester; the grant covers their tuition fees at Birzeit and gives them the opportunity to learn Arabic in their homeland. “Without the solidarity of the international community with Palestinians, we cannot achieve liberated education,” continued Dr. Abuhijleh, stressing the role of internationals in actively supporting Palestinians’ journey towards multicultural and diverse education. This is the cornerstone of the PAS program, which opens up for global experiences, provides opportunity for the international community to learn about Palestine, and the daily life, language and cultural of Palestinians. That is what Dr. Shelley Wong, a professor of Education at the College of Education and Human Development at George Mason University in Fairfax, Virginia, U.S.A. teaching at BZU and taking Arabic classes in PAS said “One of the high points of the PAS program is the exposure they experience in the different field trips." During the three-month program, students participate in field trips to different cities and towns in Palestine to experience the culture, hospitality, nature and political situation, to see and explore the culture and the geography in which Palestinians have to face with their own eyes. 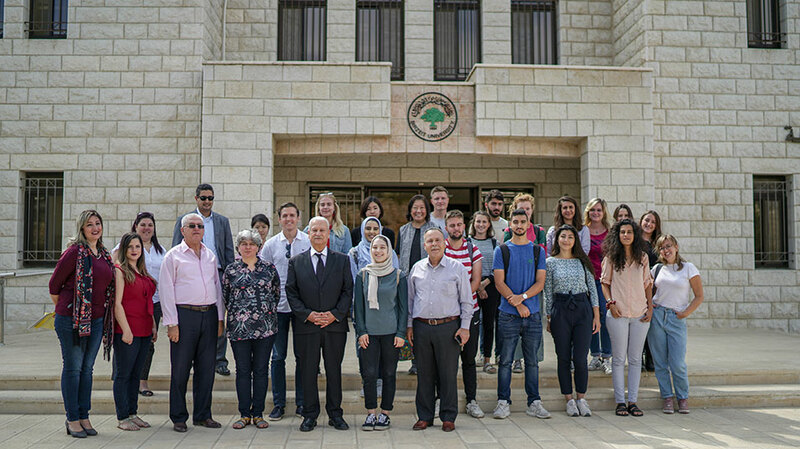 “The exchange of ideas, the creation of understanding across geographical and cultural differences is the essence of Birzeit University’s mission and indeed should be the mission of education. We are living in a changing time filled with oppression and hardships. We need, more than ever, knowledge and awareness of the threats as well as the opportunities that lie ahead of us,” concluded Abuhjileh.